You can have a look at this technique and tweak the GLSL code in Shadertoy ! 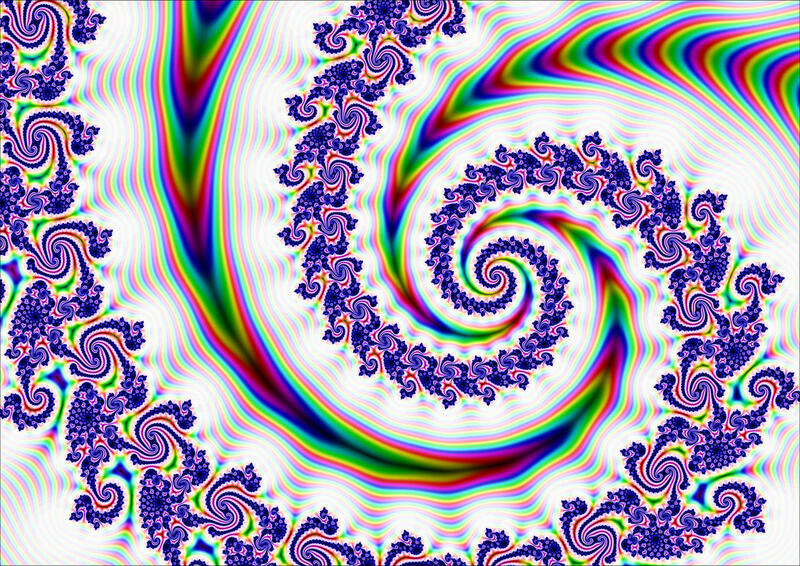 I've recently explored Mandelbrot with the distance to decide the color and its gradient for the brightness of the pixel. We can see the borderlines way more clearly : thanks to the modulus of the gradient they must be one or two pixels width. @Chillheimer : I use my own Processing program. Sad thing is Processing can't handle double, it only has float..
@David Makin : I don't think theses are error artefacts. It gets whiter where the distance does not stay constant : near the border (along spines) and far away. But at the middle between two spines the derivative of the distance is near 0, so that's why it gets darker. Very cool! Is the gradient the derivative of the DE function? And do you calculate it analytically or with finite differencing? Yes, DE gives me a matrix of distance, I then differentiate this matrix with a Sobel operator (on the X axis and Y axis separately) and take the modulus of the two numbers. Talking about gradient was maybe wrong .. Anyway it also works with others filters and gives pretty much the same thing ! Looking at the angle (of the two numbers from the filter) is also very interesting I'll post images soon. "I use my own Processing program. Sad thing is Processing can't handle double, it only has float.."
Can you post the code with description ? It looks like a great work, so sharing will be appreciated. Of course, give me a few days to clean the code from useless littles tweaks and release it on the internet. 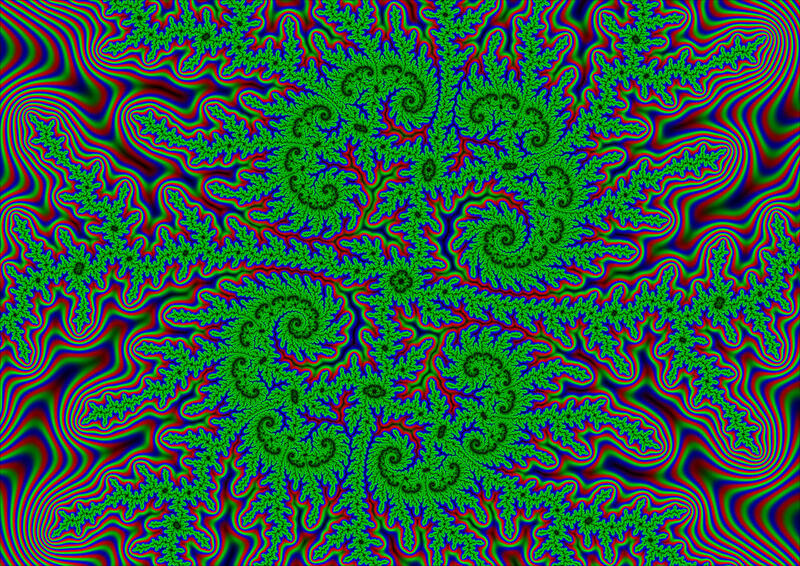 The second image was made thanks to photoshop by merging (the formulae -fusion mode- should be pretty simple to find though) two output images from the same sketch (it outputs as many images as we want). 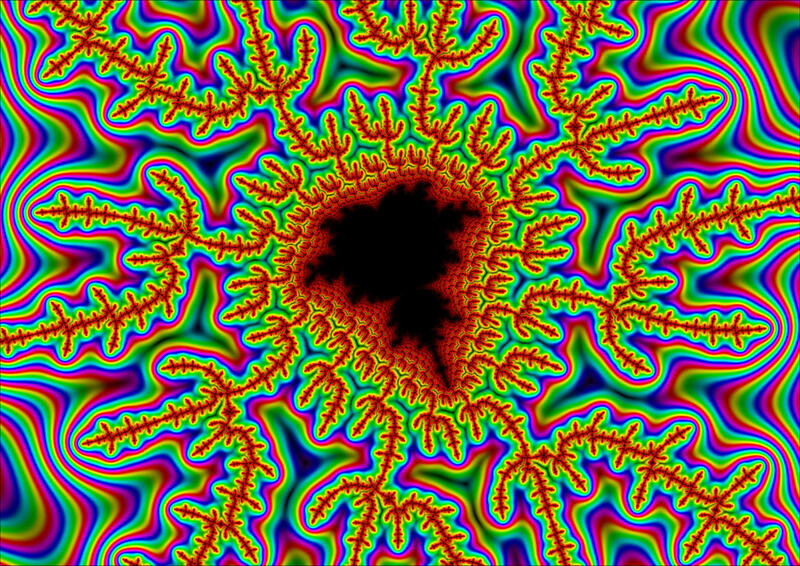 @Adam Majewski & DarkBeam : I've uploaded the code on github : https://github.com/ttoinou/MandelbrotDE. I'm sure we can find nice coloring algorithms using the angle . Please post here the fractals you've created with my sketch ! For thoses interested I coded this in Shadertoy ! size of the sketch can not be determined from your code. It works with processing 2. What is the licence of your code ? You can do it yourself also , if you like. My code is public domain. 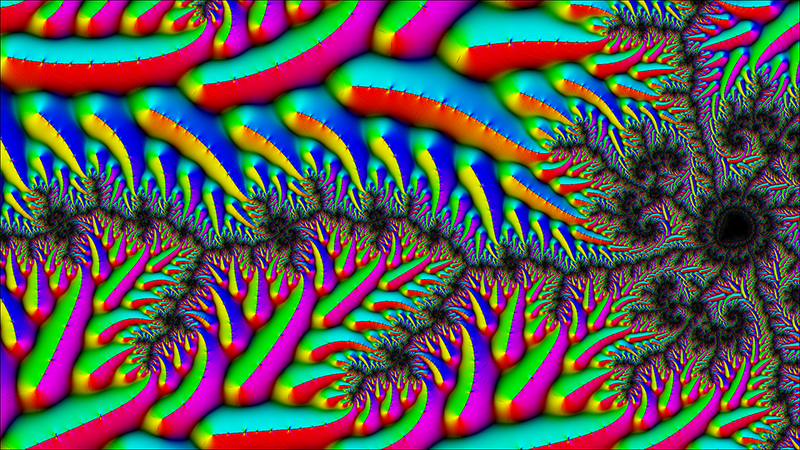 If you could add this kind of images to Wikipedia's mandelbrot article that would be great ! The images from the AE plugin are even better I think .